Former Pakistani Legend Cricketer and Captain Wasim Akram has said that Series against India will not be easy for Pakistan because it is taking place on India's home ground. 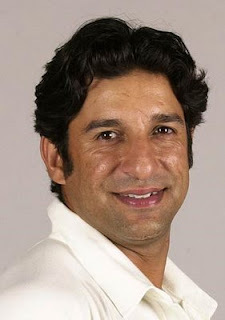 Wasim Akram was talking to a TV Channel on Saturday. Wasim said that India will have advantage of home ground and home crowd so it will not be easy for Pakistan to defeat India but its also not impossible. Former Captain said that Pakistan needs to improve its batting and fielding while our bowling is already good. Saeed Ajmal will be key for Pakistan according to former Captain. Pakistan is going for tour of India next month to play 2 T20 and 3 ODI matches against historic rivals.